St Ives Town Council have announced winners in the various categories for the St Ives Gardening competition. Best Garden St Ives - Hilary Harvey, Offerton, Higher Stennack. Best Pub or Restaurant - The Sheaf Of Wheat. 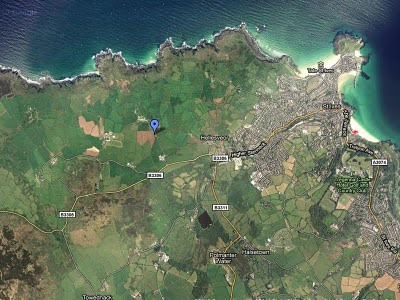 Best Hotel - Carbis Bay Hotel. Best Imaginative / Unusual - Diane Sullivan, Umulfa Place. Special Award - Penameyne Court Community Garden. Finally - I won Best Vegetable Garden ! A full list is this week's St Ives Times & Echo. All entrants will be invited to a Presentation Evening at The Guildhall in October. After weeks of construction work its good to see the newly refurbished Drill Hall on Royal Square open. Two new businesses opened yesterday. Cafe Arts serves teas, coffees, cakes, sandwiches and other snacks. They will be displaying work for sale by local artsists and are planning evening events over the coming weeks. Friendly service from Rebecca and Zoe. Sofa and newspapers to chill out with and a nice terrace to enjoy the sun at the front. Open from 10.00 am to 6.30 pm every day. Favela sells unique hand made clothes for adults and children - all designed and stitched in-store by owner Marie Medley. After studying fashion design she travelled around South America where she was inspired by the culture and street art of the Brazilian shanty towns or "favelas". More units will be opening soon and a couple are still available to rent. Good luck and best wishes to all of the new ventures at The Drill Hall. 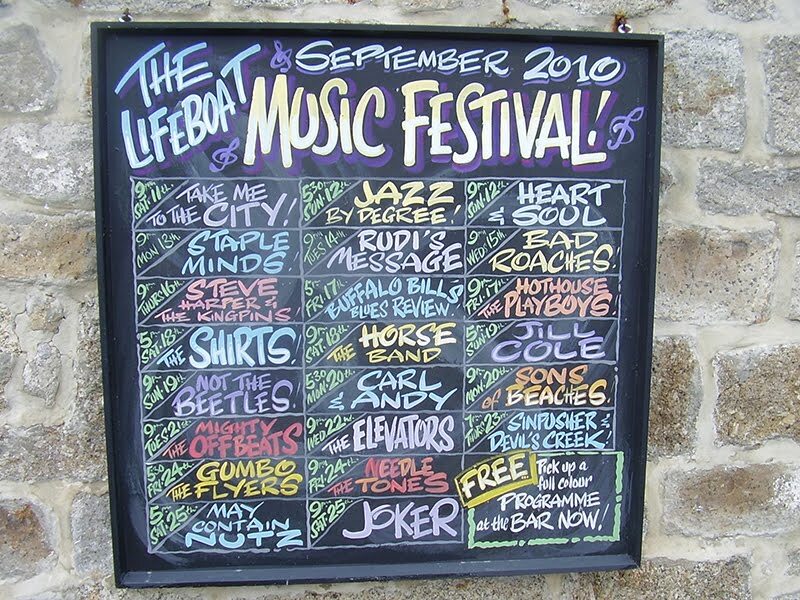 The Lifeboat Inn have posted a list of gigs for the September Festival. Live music every day at 9.00 pm, with additional gigs at 5.00 pm some days. Free entry. Twenty two altogether including some new bands and some festival regulars such as Heart and Soul, Rudi's Message, Buffalo Bill's Blues Review and Devil's Creek. See the full list in the pic above - click to enlarge. I've added a St Ives Twitter Feed to my OneStIves website. It features a number of local twitterers in a single feed - check it out for the latest news. Let me know if you're posting about St Ives on Twitter and I'll look at including you. 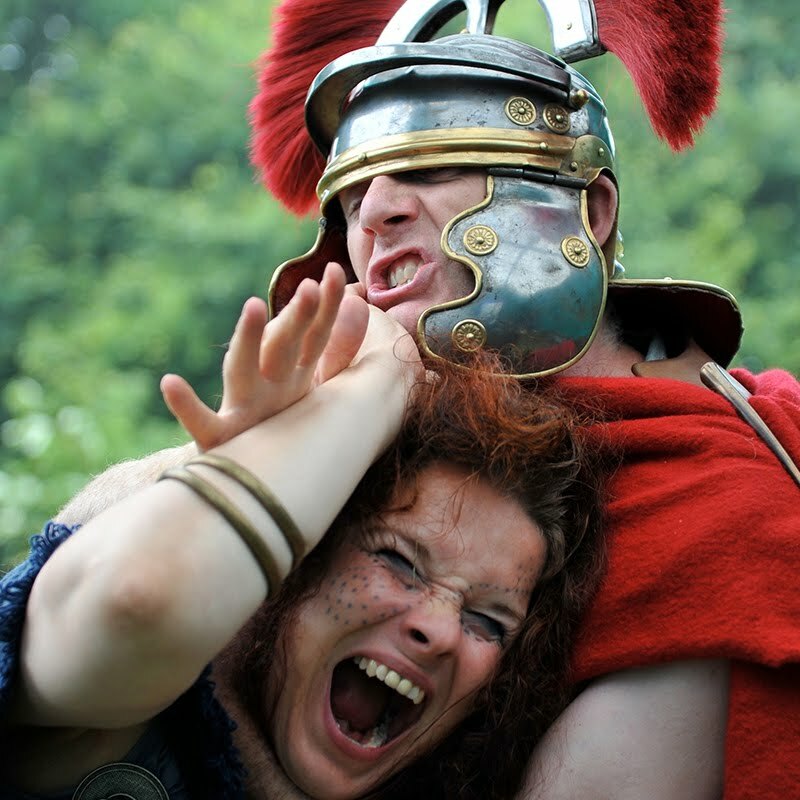 Some top-class open air theatre is being staged in St Ives this summer. Next Sunday (25th July) Miracle Theatre are bringing their touring production of Romeo and Juliet to Tregenna Castle. Starts at 7.30 pm. Tickets £10.00 (adults) £6.00 (children) - call Tregenna on 01736 795 254. Then next Wednesday (28th July) True West Productions, with Cube Theatre and Bedlam Theatre Company, stage Medusa The Celt on The Island. Also on Wednesdays 4th and 11th August. Starts at 8.00 pm. Wednesday 18th August sees the opening night of Much Ado About Nothing on The Island, a production by Rough Coast and St Ives Community Play. Also on 19th - 21st August and 15th - 18th September. Starts at 7.30 pm. St Ives Tourist Information Centre - 01736 796297. It seems that at long last the planned allotments for St Ives are to be opened this summer. I'm lucky enough to have a decent sized garden - but I know that many others have been on the allotment waiting list for ages and can't wait to get growing. The newspaper invites nominations for the column - so in this post I'm featuring some other good local blogs. Not sure who nominated me - whoever did thanks ! 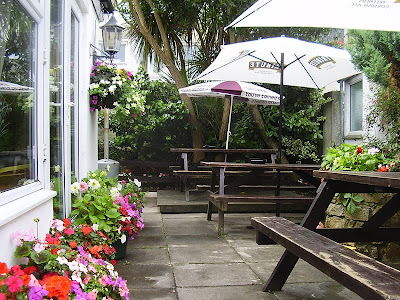 Gillys Days is a diary blog by Gill Cooke - 'An everyday blog of the incredible life of an ordinary person in St Ives, Cornwall'. Some interesting posts about goings-on in town and the local area, nice graphics and an interesting blog list. I particularly enjoyed visiting The Village Idiot's Blog. 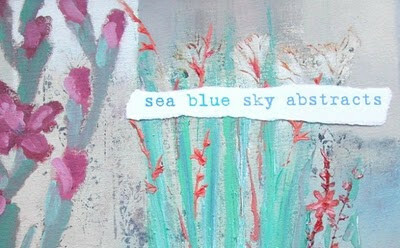 Sea Blue Sky Abstracts is by artist Lesley Ninnes and features her work and some great photographs. Winner of a Beautiful Blogger award. Knit Weave Felt features textile art by Jo McIntosh - and yes ok I am biased because I'm married to her - but its definitely worth a visit ! Lots of interesting textile related posts and images, plus the latest news on Jo's textile art workshops in St Ives. Love Stitching Red is another blog themed around textile art, written by one of St Ives' most prolific bloggers Carolyn Saxby. 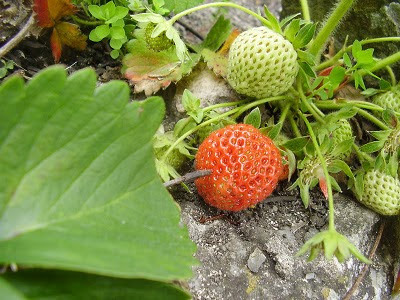 One of the many great features of this blog is the wonderful photos of Carolyn's work and the things that inspire it. Photos and Philosophy is a mostly photographic blog with work by Jacob Ross Bodilly. Photography as art. If I've missed out your blog or you know of any others worth mentioning please let me know in the Comments. 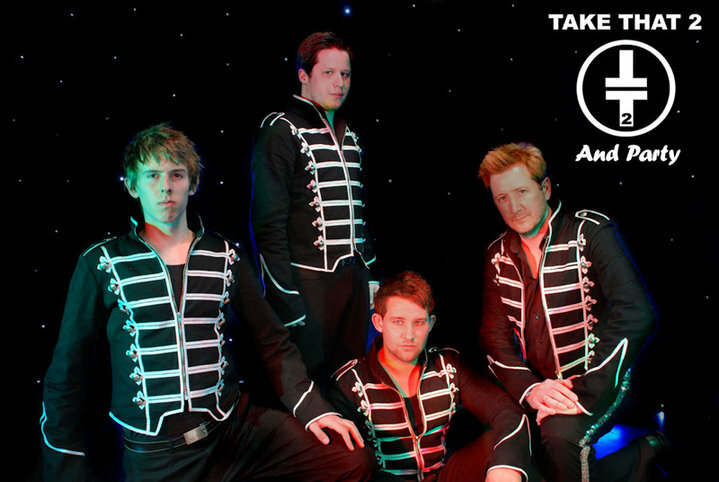 Tribute band Take That 2 and Party are coming to The Guildhall on Saturday 14th August. Since forming in 2007 the band have simply "ruled the tribute world" - they are one of the best Take That Tributes available in the UK today. A show that simply cannot be rivalled anywhere. As you would expect they are the complete package - fantastic vocals - close your eyes and it could be Gary Barlow himself. Also of course all the familier dance routines and several costume changes. For all Take That fans its a night not to be missed. Tickets are on sale now - £12.50 from St Ives Tourist Information - 01736 798577. Or call 796394 / 795857. Doors open at 7.30pm, support band, licenced bar. A fundraiser for St Ives Football Club. St Ives Town Council has launched an annual gardening competition. Entry to the competition is free and is open to everyone who lives or has trade premises in the parish of St Ives - which also includes Carbis Bay, Lelant and Halsetown. There are ten different classes - including Best Garden, Best Pub, Best Hotel, Best Guesthouse and Best Vegetable Garden. I've entered in the Veg. category. Closing date for entries is Friday 16th July. Judging will take place on Wednesday 21st July. 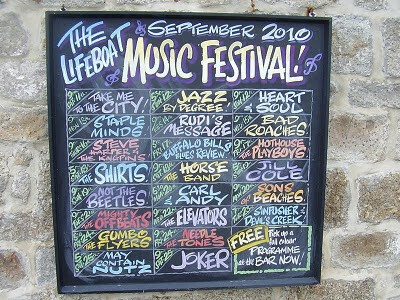 Another week of varied entertainment and things to do in St Ives. Here is just a small selection of what's going on. Tomorrow (10th) there's a Community Fun Day at Palemon Best Recreation Ground Penbeagle. Sports taster sessions, face painting, den building, games, BBQ and lots more. Organised by Every Child Matters St Ives. Free - 12.00 pm to 4.00 pm. On Sunday (11th) you could enjoy Sunday Lunch and Jazz at Tregenna Castle - a one, two or three course lunch with some top class jazz. Food served from 12.30 pm, music until 3.00 pm. Booking required - call 01736 795 254. On Monday (12th) Our Gang present a night of satirical sketch comedy at St Ives Arts Club. Starts at 7.30 pm and tickets are £2.00, bring your own wine. On Tuesday (13th) St Ives Jazz Club are staging Pedal Mania - ‘A mix of Jimmy Smith and Jaco Pastorius, with a dash of Spike Jones, resting on top of the finest choice of funky grooves’. Entry on the door is £10.00 / £6.00 (members). Doors open at 8.00 pm and music is from 9.00 pm to 11.15 pm. 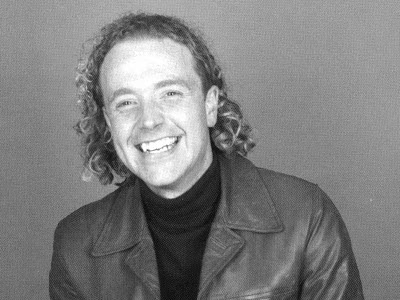 On Wednesday (14th) the legendary Freddy Zapp presents a fun karaoke night at The Sheaf Of Wheat. Starts at 8.00 pm, free entry. Freddy is at The Sheaf every Monday and Wednesday evening throughout the summer. On Thurday (15th) visit St Ives Farmers Market for a great selection of local produce. 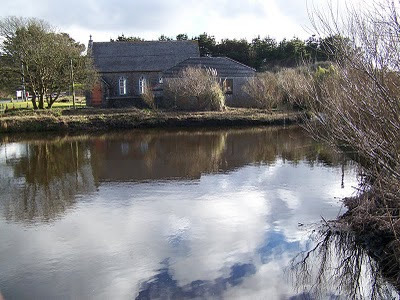 Open from 9.30 am to 2.00 pm at St Ives Backpackers on Lower Stennack. Fresh food including vegetables, meat, fish, sushi, honey, bakery, curry sauces and lots more. Friday (16th) sees the latest in the World Music series of concerts at St Ives Arts Club. Will Sleath and Tim Carey - works for flute and piano influenced by and incorporating musical traditions from across the world. Doors open at 7.00 pm and concert starts at 7.30 pm. Tickets are £12.00 from St Ives Tourist Information. 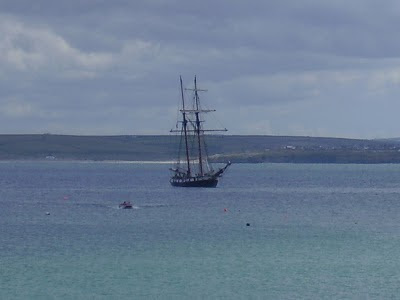 I spotted this wonderful sailing ship in St Ives Bay yesterday. Does anybody know what her name is ? 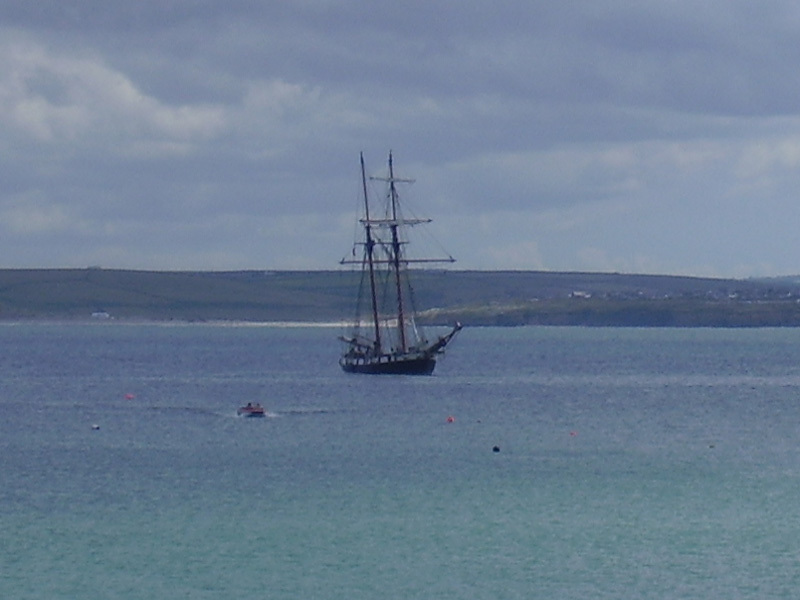 Or has Johnny Depp finally arrived in St Ives? I've put together a video featuring some of the great entertainment at Ayr Field on Sunday. Also some general film of the days events. Thanks to everybody who organised the event - I really enjoyed it. Alban of Eia Films will be producing a longer video in due course, from footage shot by St Ives School Film Club. 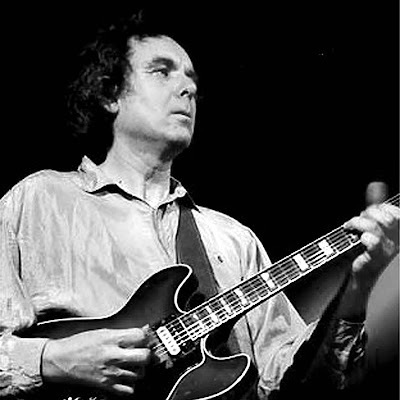 I've just added the new programme for July - September 2010 to the Jazz Club website. Another line-up of top class modern jazz. Every Tuesday night at The Western Hotel, doors open at 8.00 pm, music starts at 9.00 pm. Two sets ending at around 11.15 pm. Friendly candle-lit ambience, plenty of cabaret style seating, licensed bar at regular pub prices. Entry on the door is £6.00 for members and £10.00 for non-members.